(Newser) – How much does it cost to secure the right to sell Starbucks coffee? Nestle says the answer to that question is $7.15 billion, the amount it on Monday announced it would pay Starbucks for a business whose annual sales total $2 billion, reports the AP. The acquisition, the third-biggest for Nestle in its 152 years, would allow the Swiss giant to sell things like Starbucks' bagged coffee and individual pods; ready-to-drink products are excluded, and the deal doesn't have anything to do with Starbucks cafes. Reuters reports that regular shoppers of the affected products won't see a change: Nestle's name won't join Starbucks' on any packaging. 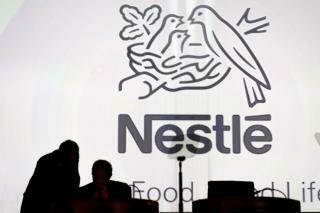 "We do not want the consumer to perceive that Starbucks is now part of a bigger family," a Nestle source told the site. Starbucks walks away with greater distribution around the planet. As for Nestle, it's a jolt: The world's leading hot drink company's shares had been down 8% for the year, and 2017 saw sales rise at what Bloomberg calls "their weakest pace in more than two decades." Bloomberg's take: "By entering a marketing pact with Starbucks, the Swiss company is revealing the limits to growing with Nescafe and Nespresso." Reuters' assessment is that the deal will help Nestle "bulk up" in the US where it isn't as strong, allow it to expand its offerings in a ballooning Asia market, and facilitate its "shift away from junk food." The AP adds the deal is subject to regulatory approval but should close before 2018 is out. Nestle will scoop up 500 Starbucks employees as part of the process; operations will remain in Seattle. Is Nestle still stealing California's water ? The same company that bottles its water for pennies on the dollar and does not consider fresh water a human right. I never realized how many sheep drank coffee until starbucks came along.